Attending conferences and presenting research is a frequent event in the life of an academic. Conference organizing committees that plan these events have a lot on their plate. Even small conferences, such as the one I organized in 2015 (iSLC 2015), can be very demanding. 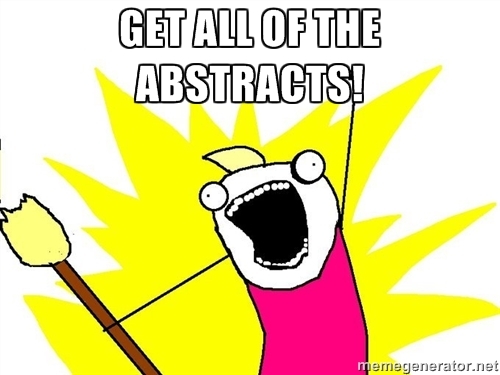 One thing that conference organizers have to consider is how to implement an article and/or abstract submission process that allows attendees, reviewers, and organizers to fluidly access and distribute these documents. Some of these services are free while others are a paid service. Some services provide better and a more adaptive pipeline for this process. An important feature of these abstract submission sites is allowing the tagging of abstracts so that organizers can appropriately distribute the content to the best reviewers.